Purchase links take you directly to Amazon where you can use your prime status, or simply enjoy Amazon's one-click options and instant downloads. Print options and audiobooks also available. You can also proceed directly to my Amazon Author Page for more information. 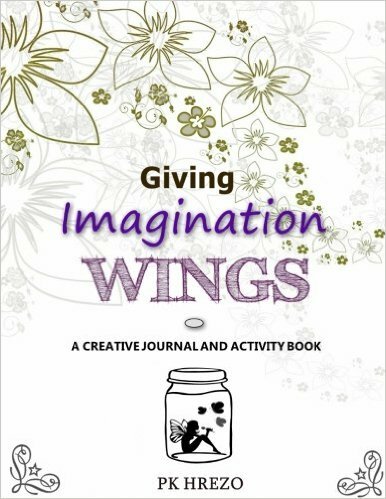 Explore your creativity with this activity book journal. From one artist to another, it's sure to get your creative juices flowing. For ages 8 to 100. Full color available in print only. Click the Amazon affiliate link to purchase. Book 1 in the Mossvale Tales series, starring the woodland sprites from PK's Pixies. A whimsical story for the young and young at heart alike, this is an easy-read chapter book with pictures. Available in ebook for only .99 in full color, or paperback. Click the Amazon link below to purchase. This fantasy tale is perfect for middle grade accelerated readers to young adult and gamer geeks of any age. What if your video game gave you real time access to a primitive world in another galaxy? Join 14-year-old Xavier Dare on his adventure and mega game conquest. Available in ebook, print, or audiobook. This sassy time travel story is whole lotta fun for anyone who loves music, romance, and future technology. Multi-award nominated for Best Sci-fi, and Best Debut Author. For mature young adults and higher. Available as ebook, print, and audiobook. Book 2 in the Butterman Travel, Inc. series. Join Bianca Butterman on her Induction Day adventure. Cupcakes, and firemen, and fitness, oh my! Buttercream Dreams is a sweet treat for anyone who's ever struggled with confidence, weight loss, or romance. A heartfelt guide and personal reflection on cultivating faith and getting to know God. For agnostics, atheists, and people of all faith.